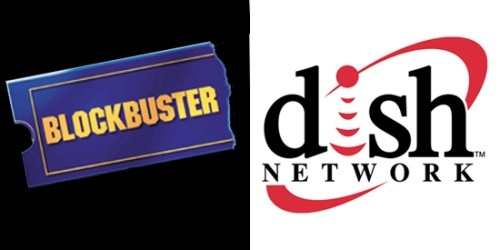 Many folks were left scratching their heads when Dish Network bought up the crumbled shell of Blockbuster. The once mighty movie rental chain had been felled in large part by Netflix’s DVD-by-mail rental service, with Netflix’s streaming service and Redbox’s kiosk rental model swooping in for the final kill. Not that Blockbuster didn’t try to fight back. It was in Blockbuster’s own DVD-by-mail rental service, brand recognition, and retail footprint that Dish thought it saw an opportunity to turn Blockbuster into a Netflix-killer and enter a new market competing with the likes of Verizon and AT&T. The retail locations, once trimmed of unprofitable locations, would become the retail outlets for new Dish devices that would tap into special sections of Dish’s satellite spectrum for an LTE service for data and video streaming. Alas, that plan is unlikely to pass FCC muster, so Dish is scaling back its plans for Blockbuster, at least in the short-term. These details do go a long way toward explaining the limited roll-out of the Dish-exclusive Blockbuster Movie Pass streaming service. Without FCC approval for Dish’s new devices and spectrum usage, there wasn’t much reason for announcing the big picture plans that would bring Blockbuster Movie Pass to everyone. There do not seem to be any immediate plans for changes in what Blockbuster is doing or the services it’s offering right now, though the Dish-specific Blockbuster services are being rebranded to Blockbuster@Home. The most interesting details revolve around how Dish’s approach to handling Blockbuster has left Dish confident that the company will, at worst, break even on the purchase. Dish planned to entice consumers to buy its wireless services by streaming Blockbuster movies on mobile devices. Without the wireless network, a nationwide streaming service would function a lot like Netflix, except Blockbuster would be starting from scratch against a big incumbent, Ergen said. Netflix has 24 million U.S. streaming-video customers.